The number of websites requiring registration increases every day. And whilst some of them support quick login through Facebook or Google account authorization, thousands of others still operate in a classic way. Luckily, all modern browsers offer password management capabilities saving passwords and automatically logging you in when you visit the website next time. But here is the bad news: browsers are insecure! In other words, if you still let your browser store passwords for you, you are not safe. 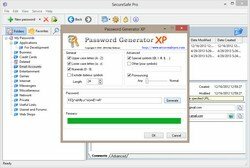 Indeed, unlike professional password manager tools, browsers usually store passwords using weak encryption or without encryption at all. 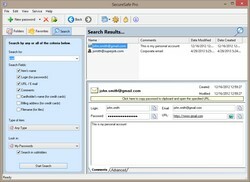 Additionally, many of them provide an easy access to stored passwords with built-in means. The convenience browsers provide has its price, but are you willing to pay it? 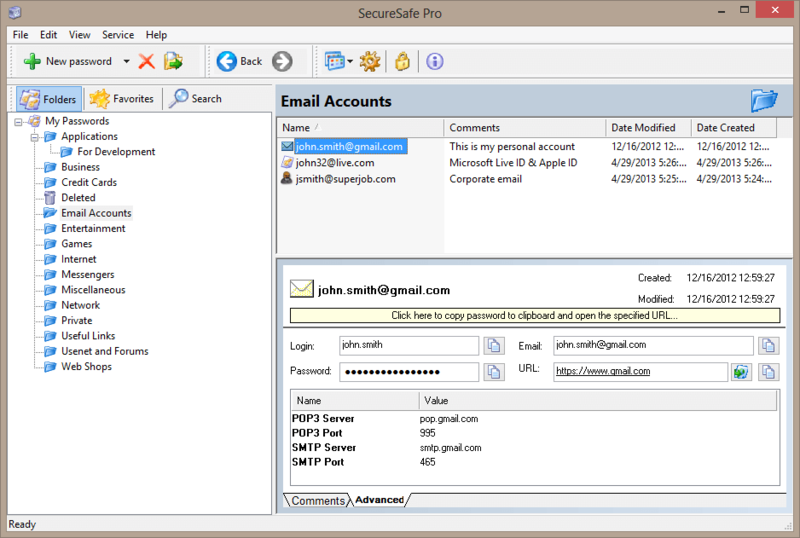 Password managers like SecureSafe Pro are a more secure way to keep your passwords protected and freely available to you at the same time. 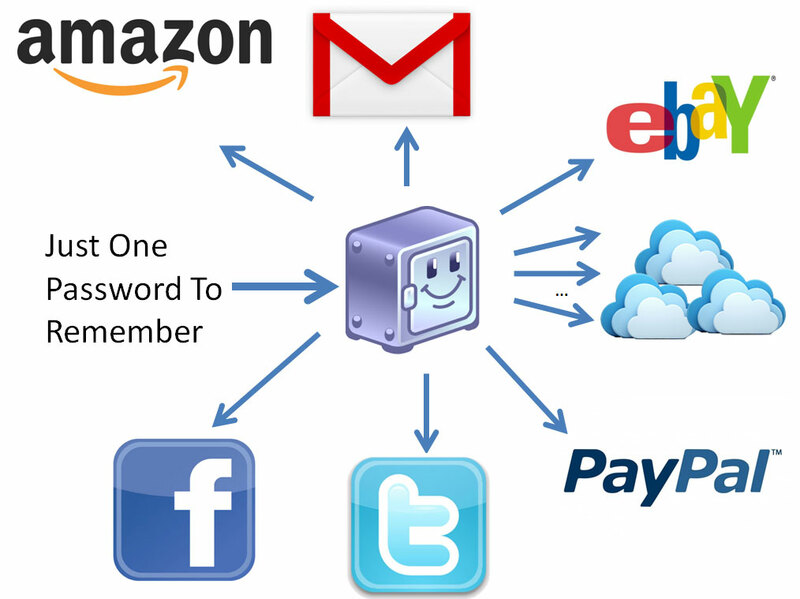 Password managers are a more secure way to keep your passwords protected and freely available to you at the same time. 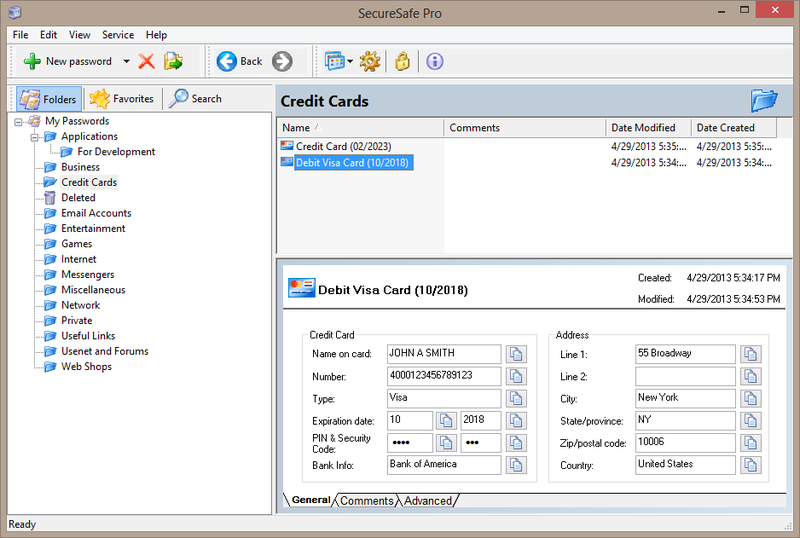 While browsers never put significant emphasis on password protection, specialized password management applications, like SecureSafe Pro, are tailored to the extreme safety of any data entered into them. 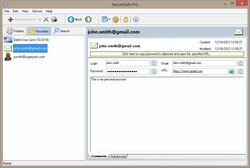 In particular, SecureSafe Pro encrypts all stored passwords with military encryption algorithm AES making them virtually invulnerable to brute force attacks and automatic password hacking programs. All passwords are conveniently held in the single secure container protected by a master password. This means you don’t need to memorize dozens of passwords anymore – you need only one, the master password now. At the same time, the ultimate level of protection guarantees your private safety even if the password file is stolen by an intruder. 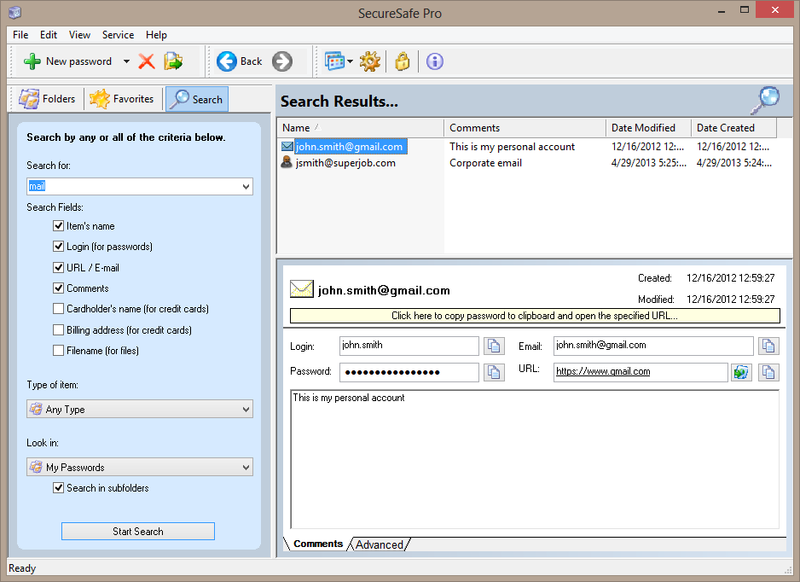 With a proper password manager installed on your PC you don’t have to or sacrifice your safety to convenience or vice versa. 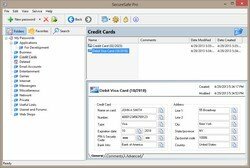 For example, in SecureSafe Pro whenever you want to login at a website, you simply click program’s icon in the system tray, type your master password and voila! 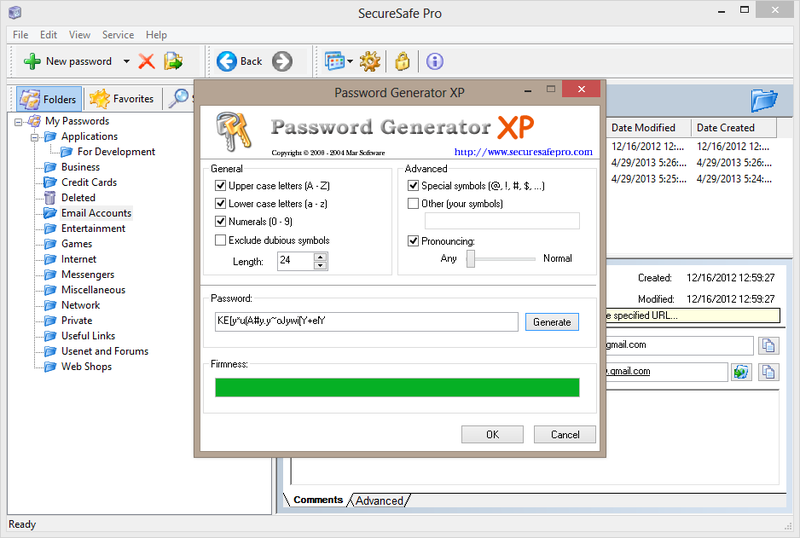 – the password you need is right here and is ready to go! 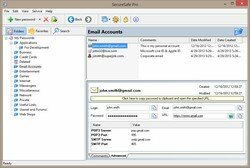 A splendid mixture of total protection and everyday comfort, password management software should definitely become on of the top priorities of any user. As long as you visit more than one website and have more than one password to remember – consider installing a reliable password manager and make your personal accounts safe. 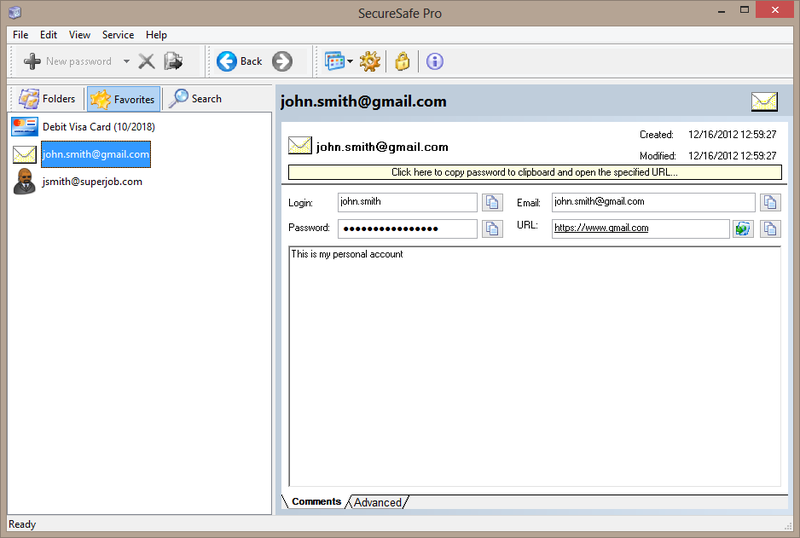 Keeps all your access passwords and logins. Fully customizable fields for each item. You can keep regular files inside the program. 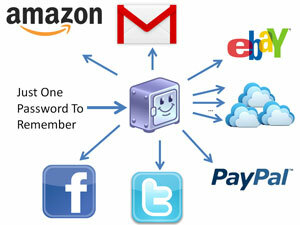 It frees you from having to remember all of your passwords and logins.